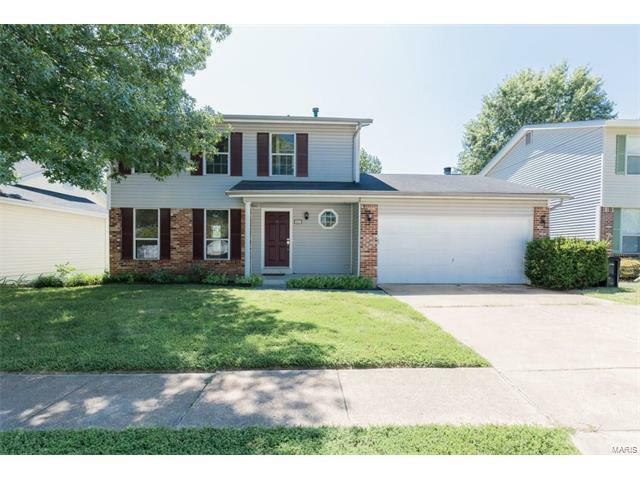 Spacious 2-Story home situated on a large, level lot! This home boasts an open floorplan with 3Beds, 2.5Baths & 2,100+sqft of living space including the walkout Lower Level. Inviting Entry Foyer with hardwood flooring leads to formal Living Rm featuring lots of natural light & opens to the Dining Rm. Updated Kitchen offers solid wood cabinetry, solid surface countertops & stainless steel appliances. Large Family Rm boasts a gas fireplace & three walls of windows overlooking the park-like backyard. The Main Floor also finds an updated Powder Rm. Second Floor boasts hardwood flooring throughout & contains a spacious Master Suite with an en suite Master Bath. Two additional Bedrooms & an additional Bath completes the Second Floor. Partially finished Lower Level includes a large Rec Rm & full light glass doors that walk out to the large backyard. Location could not be better - convenient to shops & restaurants. Parkway Schools! Easy access to Hwys 141, 64/40, 270 & 44! Hwy 270 to W on Manchester Rd, left on Old Sulphur Springs Rd, left Sulphur Springs Rd, right on street. Home will be on the left.